No trip to Disneyland is complete without a stop at the Tiki Juice Bar for a delicious Dole Whip (and/or/both, a Dole Whip float). 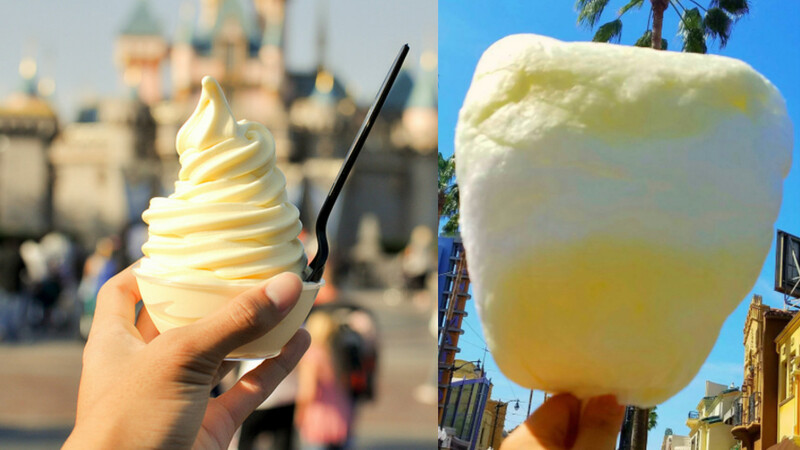 But now, you’re going to need to start saving room for some other form of pineapple goodness: Disneyland is now selling “Dole Whip” cotton candy, and this is a GAME CHANGER. This past weekend, Dole Whip cotton candy quietly made its debut at the park. Or, well, it’s not so quiet anymore. While the cotton candy is not *officially* Dole Whip cotton candy, or sponsored by Dole, it *is* pineapple-flavored, so the name is just a natural conclusion. Also, where has this been all our lives? With its sunny yellow color, this is the perfect way to say HELLO SPRING! Visitors to Disneyland have found the cotton candy in both Disneyland proper and California Adventure, which means that whatever park you choose to visit for the day, Dole Whip cotton candy can be YOURS…for only $4.75 (plus tax). The cotton candy rolled out in conjunction with California Adventure’s Food and Wine Festival, and it will only be available for a limited time. So if Dole Whip cotton candy is your new dream, best start making your way to Disneyland ASAP. Best part about this is that there’s a 90% chance it won’t melt all over you on a hot summer day.